An extremely psychedelic live performance thankfully captured for posterity by a stealthy and quick thinking taper is the topic of discussion for today’s, ‘Put the Boot In’. 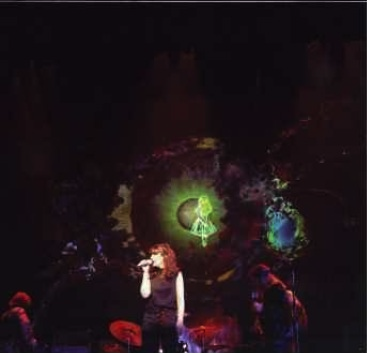 Jamming aggressively in the ‘rock room’ is the first date of the Jefferson Airplane’s 1968 tour of Europe, hailing from the Falkoner Centret in Copenhagen, Denmark on August 28th. 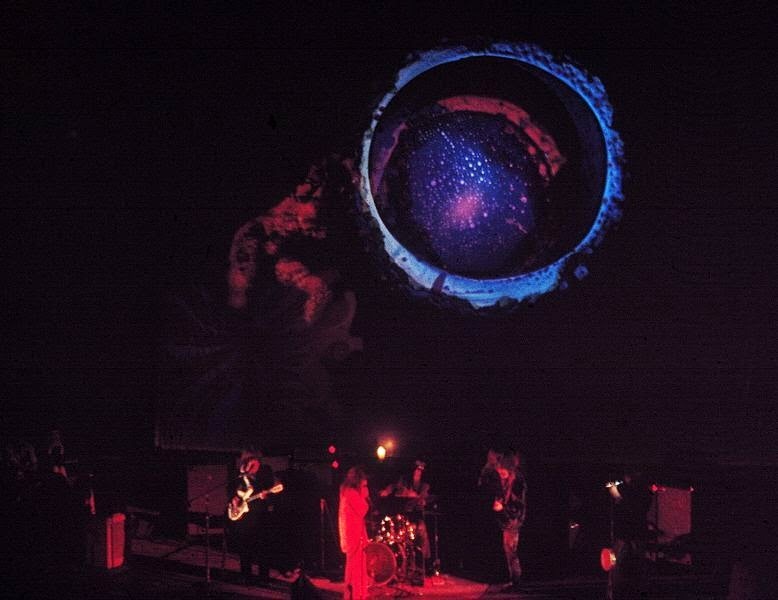 This tour was in support of the soon to be released (September) LP Crown of Creation and also featured the Doors as co-headliners who would join the tour when it reached London for legendary concerts at the Roundhouse. This era finds the group at the height of their powers. This particular series of performances captures the Airplane at their most experimental and playing with a tight unity that by the end of 1969 would show signs of splintering. The resulting recording is a typical 1960’s field capture, a bit distant, but in this particular case containing a well balanced mix with all instruments audible and a minimal of sonic anomalies. There is a touch of treble, but otherwise this tape is a pleasure to disappear into. Similar to staring at a distant landmark on a far horizon, with aural concentration the sonic field slowly comes into detailed focus. Jack Casady is in superior form, acting as another lead guitar player, his counter melodies and jackhammer excursions around the root are an absolute inspiration to hear. His Alembic tone, stirs the grooves and moans like an ornery musical beast stirring with one eye slightly open. Actually, all members are playing amazingly and in perfect conjunction with each other. In the ‘rock room’s opinion this concert is one of the finest of the Airplane in circulation, special due to the performance by the group, the set list played and the attitude in which it is performed. The concert begins kinetically with Marty Balin’s ‘It’s No Secret’ from the Airplane’s 1966 debut LP. Paul Kantner’s serrated Rickenbacker rhythm stabs the thick air initiating the opening of the show. The quintessential Airplane vocal blend leaves the runway dancing like mating birds weaving overhead in the deep blue. With barley a pause, ‘Watch Her Ride’, from 1967’s, Bathing at Baxter’s continues the high velocity opening to the performance. Bathed in swirling liquid light, Kantner takes the vocal lead, supported by Slick and Balin in this definitive aesthetic statement of the 1960’s. Kaukonen lends quivering lead guitar notes that shimmer inside the highly amplified lysergic ring of Kantner’s rhythm. This opening double shot puts you in the venue seated in front of the idling Airplane, mini skirts, incense, melting lights and hash smoke abound. ‘White Rabbit’ follows and is the most popular and well known of the Airplane’s catalog and is performed in a perfect FM radio rendition. Based around Casady’s percussive plucks and Slick’s elongated wavy wails the crowd is fully invested into the concert after this song's performance. The concert now ascends to 30,000 feet and settles into a cruising altitude. ‘Plastic Fantastic Lover’ is reverberant, aggressive and bounding. A prepackaged hallucinatory dance party is unwrapped in the overseas venue as Balin scats and raps his way through this paean to a processed replacement for his fleshy companion. Kaukonen’s guitar is deadly serious on this track. Donovan’s ‘Fat Angel’ appears in a hazy doorway, lowering the tempo and bringing the groove into a stony field of illusory dreams. The Airplane’s rendition takes Donovan’s fairy tale melody of a visiting drug dealer and turns it into a slithering meditation. The song drifts through moist clouds while it expands, pressing at out at its interior seams.While not as mature as future versions, Kaukonen lends rich heady quotes against a rhythm that alternates between sweet and surly. The airy transparent cadence of Donovan’s composition is wrapped tightly by the Airplane around the songs opposing poles. The band twists the music, adding a dense tension until releasing into a series of cymbal white wash swellings and guitar scrubbing. The tune concludes on a hollow blue feedback that fades to black. Jorma Kaukonen’s ‘Star Track’ from the soon to be released Crown of Creation signals a point in the concert where the internal improvisations of the group can no longer be contained. Following a silly, loony tunes tuning jam prelude, the spiky celestial blues detonates. Foreshadowing the later musical stylings of ‘Hot Tuna’. Casady and Kaukonen turn up the volume and collaborate on a oozing series of instrumental duels that drip like a tapped maple tree. Jorma disintegrates into a neon wah-wah’d scribbling of licks, scrawling across the night sky like a space traveling street artist. Casady is the engine that controls the Jefferson Airplane as it navigates through this thick ink black sky, his hearty strings resonating under the blended guitars of Kantner and Kaukonen. The group has now dispensed with the shorter numbers and prepares to let their musicality unfurl as the concert reaches a hazy summit. A debut song for the band follows with David Crosby’s ‘Triad’, a song that had been finding it hard to discover a place to call home. The ‘Byrds’ had thought the song to risqué for their liking, so Crosby donated to the ‘Airplane’, a band he knew would not be embarrassed by its sexual content. Slick alternates between sneaky and sensual in her recitation of the verses while the group adds spacious and delicate instrumentation. Casady’s warm bass is a highlight, settling the rhythm in conjunction with Dryden’s jazzy sensibility weaving in and out of his plucky riffs. Slick and Casady enter into their own close relationship as they descend steps hand in hand at the conclusion of each verse in perfect harmony. There a wonderfully self contained jam that is as intimate as the context of the song with Casady and Kaukonen dynamically exchanging musical glances. This is a sweet reading of a rare track that gently urges the uninitiated into a flowery expression of love. The fruitful nucleus of the performance, as well as another debut for the band sets the stage for greatness.. Slick introduces the rarely played duo performance of ‘The Ballad of You Me and Pooneil’ linked with the hot off of the presses and lyrically related, ‘The House at Pooneil Corners'. 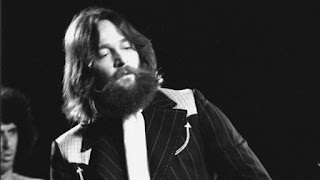 The seventeen minute suite is highlighted by a cataclysmic Casady bass solo that creates its own black hole, sucking in everything it its wake amidst power chords and bomb shells during the mid section of ‘Ballad’. The epic first half of the suite is then concentrated by a dizzying improv where Casady conjures magical cathedral trills from a mysterious dark place that Kaukonen then melts and sculpts into acid etudes and sonic serenades. The music breathes, bites and then retreats to the shadows. Casady coaxes spectral feedback from his bass directing his aural compass. Kaukonen jumps on and follows, just before Casady leaves the earthly realms. Kaukonen then discovers a rogue thread and tugs on it until the entire song unravels into a euphoric instrumental space segment. The jam then enters a mysterious place, a door slams as it begins a dopey strut that gets everyone on board, soon gaining momentum like a musical boulder tumbling down a mountainside, then crashing into the final verses. The segue into ‘The House on Pooneil Corners’ is created by a bridge of electricity that Casady destroys with his chrorded introductory riff that the song is based around. Dramatic Airplane vocals urgently soar over a tug of war between the crashing chords and reciprocal riffing. Dryden’s sympathetic drumming comes to full fruition during this duo and can be appreciated even with his tom-tom work sometimes disappearing in the sonic spread. Kantner’s steel wool strings peep from the wasteland of apocalyptic jug band guitar work by Kaukonen. The music becomes a super ball chucked into a room full of mirrors bounding uncontrollably. 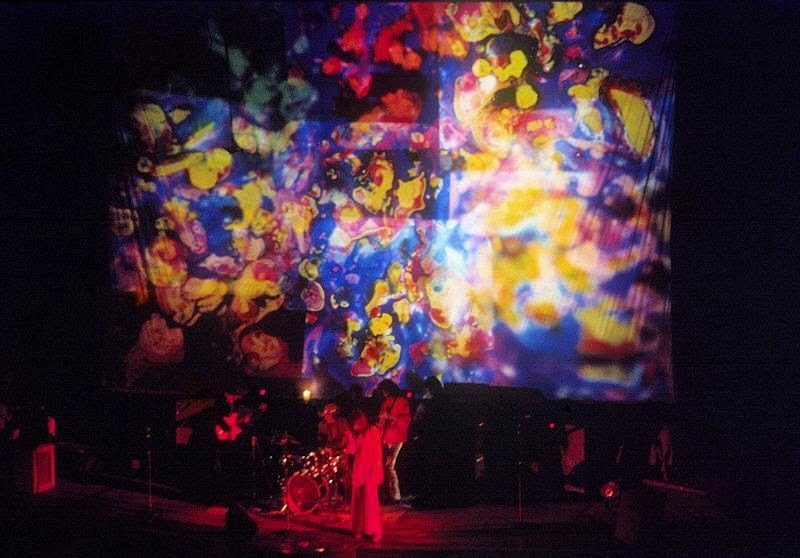 This particular song combination is representative of skull splitting San Francisco psychedelia captured in its natural element and is illustrated as the definitive highlight of the performance. There is a brief bit of muffling on the tape midway, otherwise the sound quality is more than acceptable. Following the preceding five alarm fire the band settles into the Balin/Kantner ballad, ‘Today’. Kanter begins the song with tender picking as the emotion of the song is increased by Dryden’s well played drums. In its fully electric guise 'Today' emanates a greater power than its sterile studio counterpart. Returning to the circus tent of face melting, concert favorite and Crown of Creation track ‘Greasy Heart’ is played next and like oil on water, swirls and spreads multicolored pooling throughout its changes. Kaukonen’s sticky crybaby licks and Slicks ‘knock stuff off of the shelves’ vibrato highlight this ‘dancer’s choice’ performance. The concert and tape then conclude with another ‘Airplane’ classic song suite and additional smash single. First performed is‘Won’t You Try/Saturday Afternoon’, a well known highlight from Bathing at Baxter's and of their 1969 Woodstock performance, followed by a heavy handed and forceful ‘Somebody to Love’ that tears the building up from the roots. ‘Won’t You Try’, if available in better soundboard quality could rank as a ‘best of’ version, focused on marching Dryden/Casady interactions and origami verse overlapping by the three power vocalists. ‘Somebody to Love’ then closes the show, is humorously dedicated to President Johnson, and finishes the evening appropriately in a pile of smoldering multicolored musical rubble. Similarly to their San Francisco contemporaries the Grateful Dead, there is thankfully a wealth of 1960’s recordings available from the original Jefferson Airplane line up. While these recordings range from distant audience recordings like the aforementioned, to crisp line recorded soundboards, they all offer an antiqued window into which a listener can reach back into the past. These concerts still reverberate through the halls of history, documented for posterity due to brave tapers and the foresight of the band members and their crew. 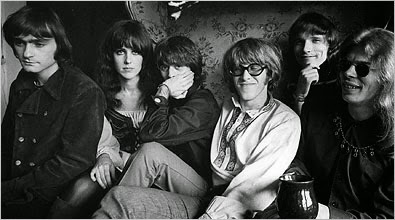 Slide into your favorite easy chair, put the headphones on, and fly Jefferson Airplane to a time where inspiration and creativity was ripe and the music was amazing. Not only is this performance well played, it contains rare performances that can be viewed as an archeological discovery of a magical musical history.